I was surprised there were no comments on the last picture of one of my earlier posts, “Bobbin Winders For Spinners“. But, perhaps that is because you don’t know that I pretty much stopped buying books years ago. I’m extremely careful about buying books, because I have so little space in my house. I started spinning a year ago, but I own only one spinning book. 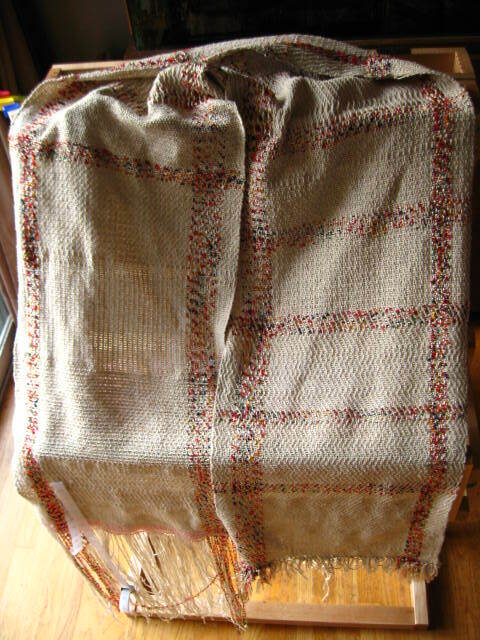 However, in the five months since I’ve been weaving, I’ve acquired forty-five weaving books (oh, I just shocked myself!). That does not include the stack of used “Handwoven” magazines stashed in our linen closet. 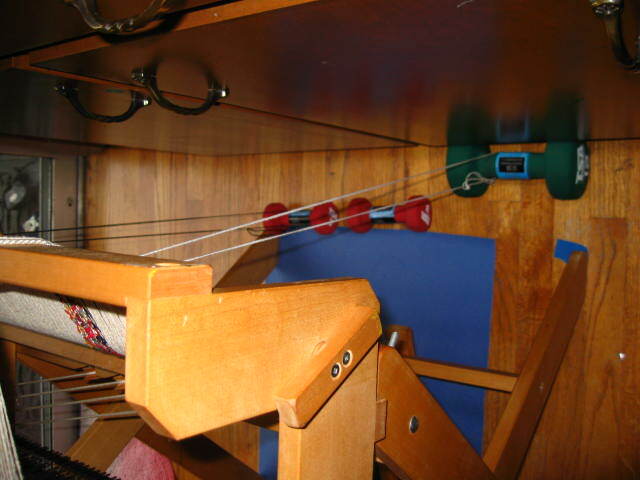 Then there are the looms. 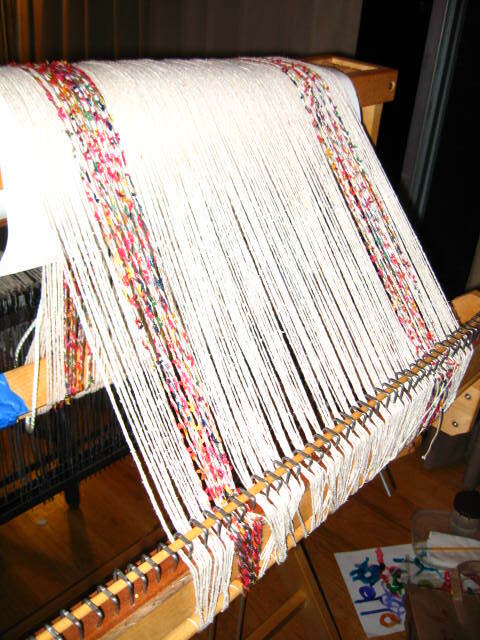 I last counted nine “serious” looms 20″ or larger; I refuse to count the smaller “play” looms (like the HD Easy Weaver A and B looms). I’m extremely thrifty and discriminating about my looms (I walked away from a $400 Schacht Baby Wolf, one-owner, in perfect condition, still without regret — too expensive! ), but it seems I have not set the bar high enough. 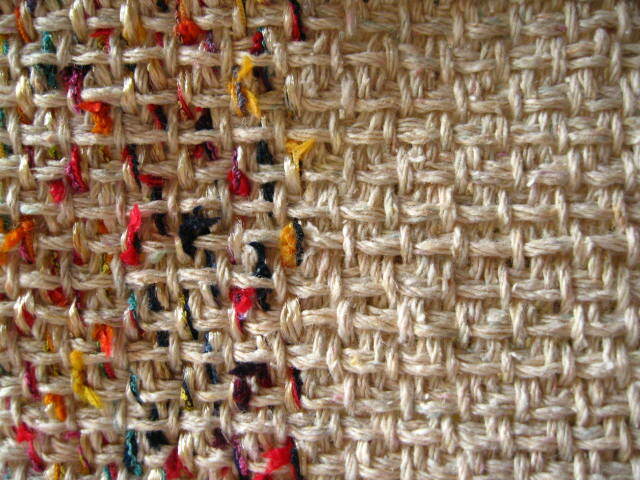 It makes no sense to me, especially since I can only weave on one at a time. 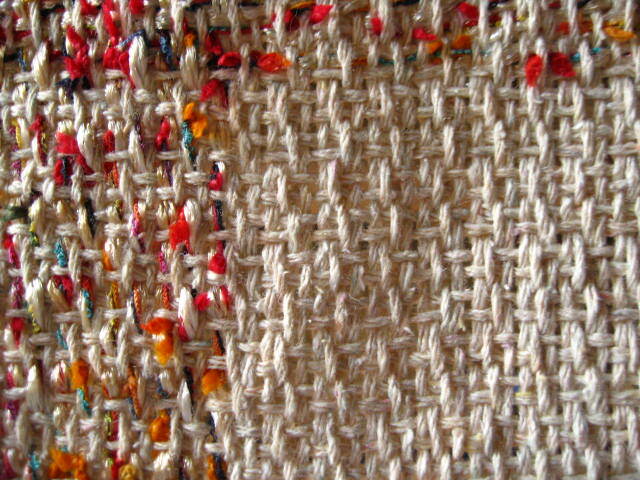 I just cannot explain, even to myself, what is this madness called weaving, and why it has overtaken me. I checked, and found there is no “Complete Idiot’s Guide To Weaving”, or “Weaving For Dummies”. 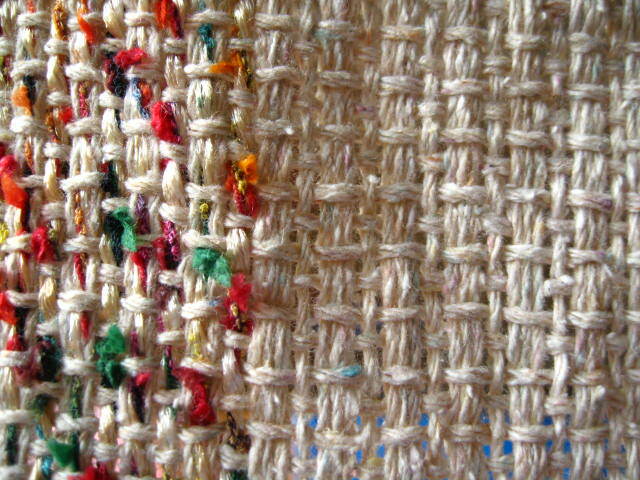 I think I could write a book like that, perhaps titled “A Comprehensive Compendium Of Weaving Don’ts “. 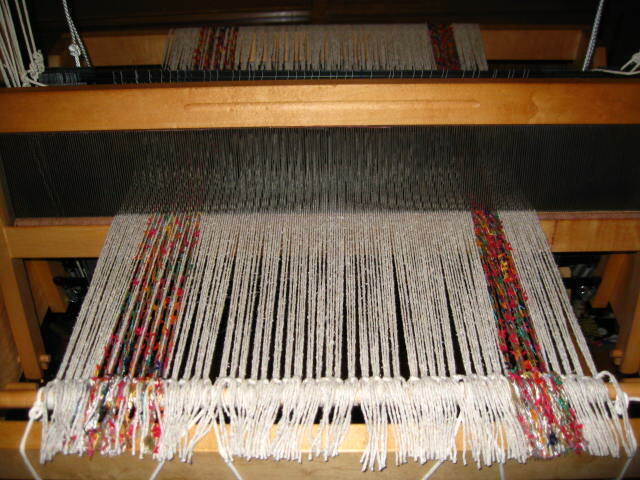 Remember my piano runner/sampler of twills on Gil (24” Rasmussen loom, “Raddle Me This“)? 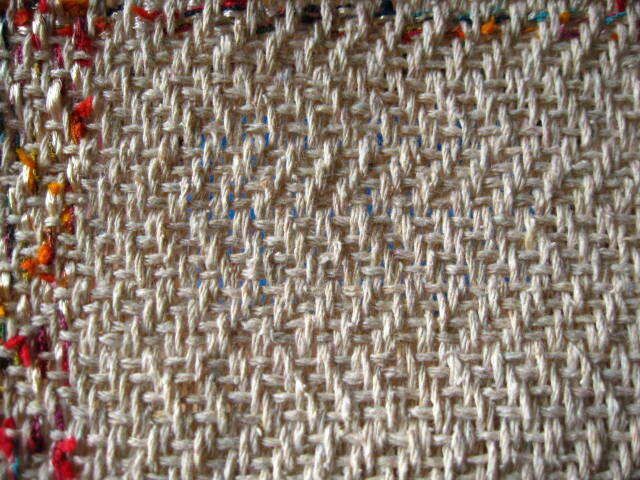 It’s woven and off the loom, but it was a slow start that took four tries to finish warping it. Episode One: Clueless Weaver warps back to front, without a raddle. 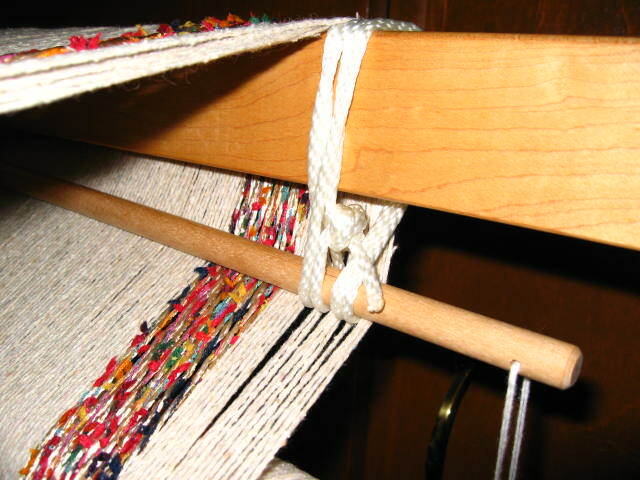 When the warps of a 14″ cloth measures 12″ on the back beam, weaver learns the importance of a raddle. Weaver learns to love the special raddle, through which a dowel may be inserted to lock the warps in place through plague, pestilence, and weaver error, period. Episode Four: Humbled weaver warps Gil (16″), A Documentary. Yes, I suppose I am a glutton for punishment. 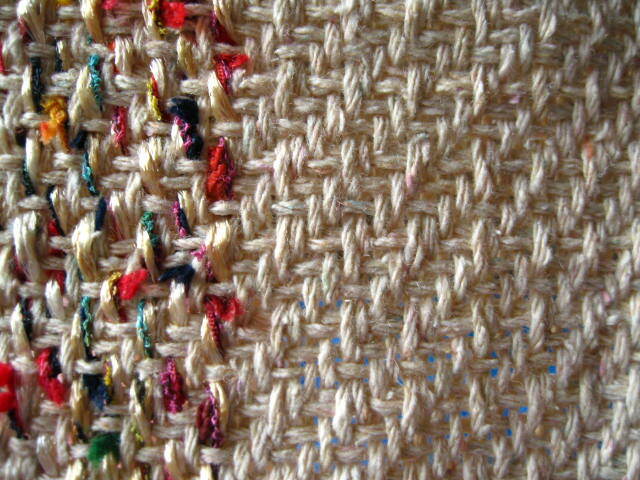 Thank You, Peggy Osterkamp, for your invaluable book (third one) with the section on weaving problems and solutions! During my four attempts to warp Gil, I sleyed the reed twice. That was the fun part. 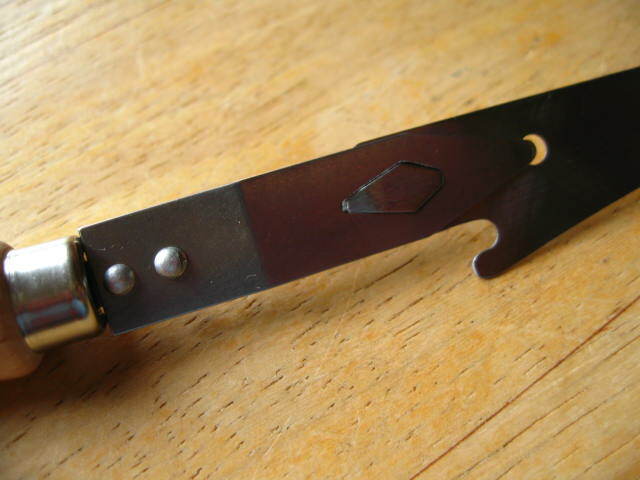 You see, I have a Schacht auto-reed hook. I was skeptical about these before ordering it. There is not much available in the way of reviews (on the internet) on this tool. 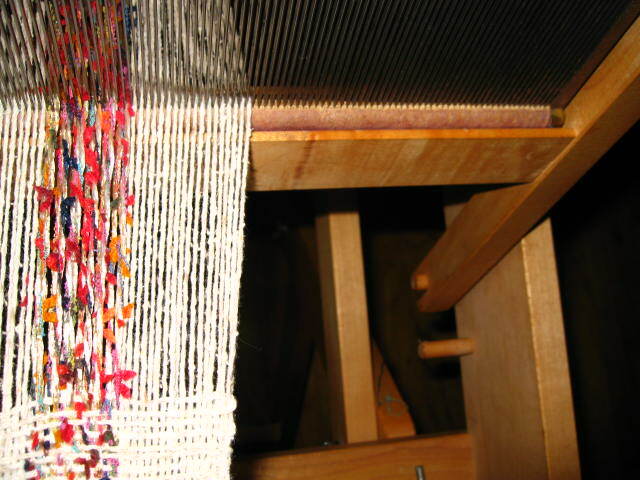 Prior to dressing Gil, I had to sley a metal reed twice before; both times on the Dutch Master Box loom. 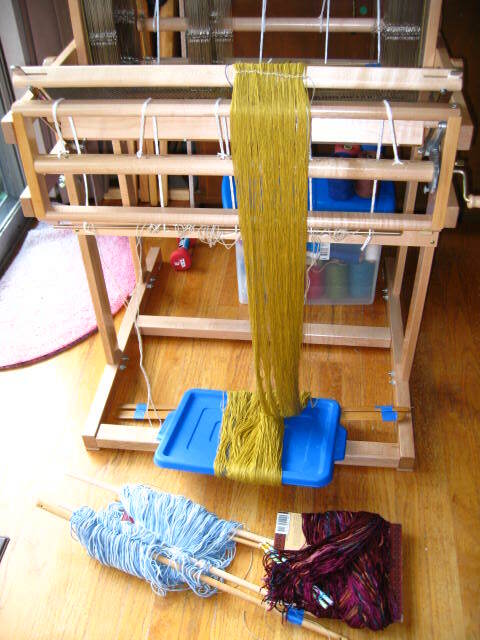 That was enough to convince me a better way was needed if weaving and I were not to part company, which is why I broke down and purchased it, sans reviews, for $50 (another sign of madness). I have no idea why it costs so much. Ask Schacht. Perhaps they only sell one a year. Here’s my review, in a nutshell: I love it. If you don’t love sleying the reed, you need one. If you require details, please read on. 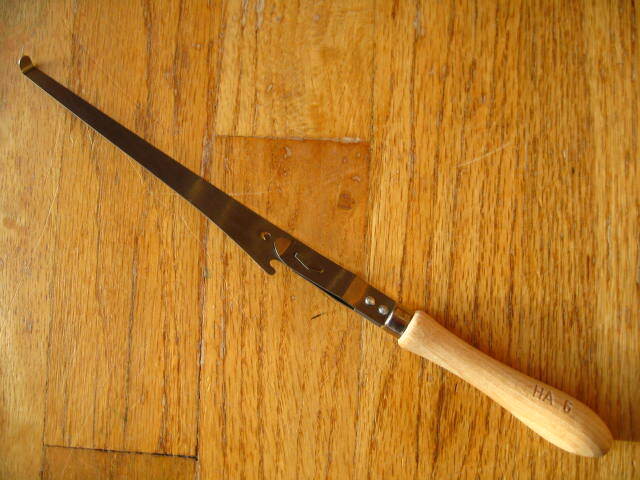 My auto-reed hook was special-ordered from Schacht. As far as I can tell, it’s exactly like the one made by AVL. It works on reeds of size 15 dents or less. Which means I have no plans to purchase a reed of dpi higher than 15. 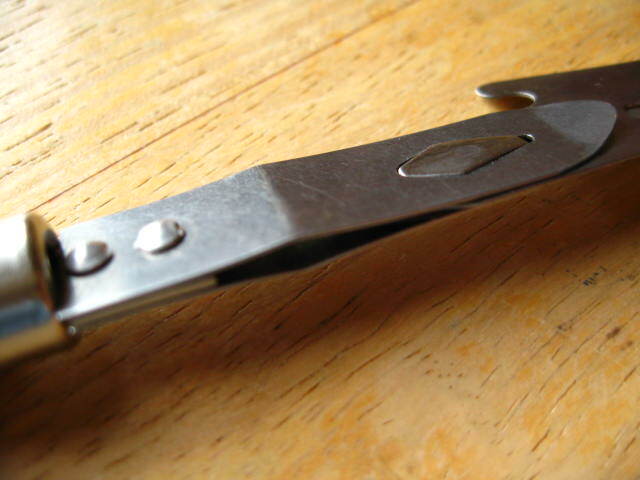 The bent tip of the hook is inserted into the reed, in the direction you want to sley it. In my case, working right to left, the tip points left. Push the hook into the reed until a click! is heard. 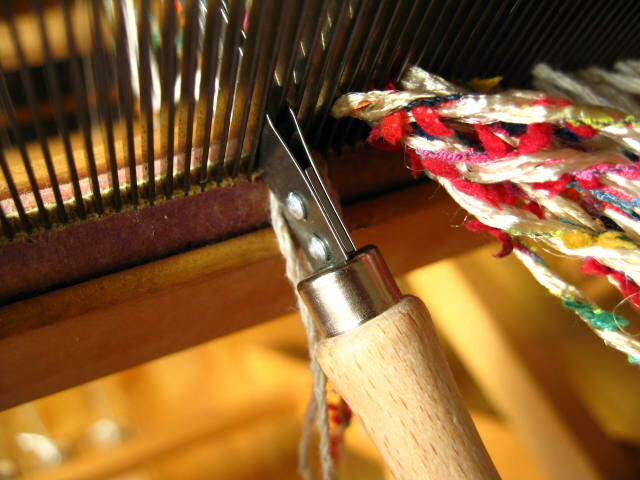 Load the hook with your threads, pull the threads through the reed, then push the hook back in until another click! is heard. I find that pushing the hook in, at an angle, in the direction you want the hook to move, works better than pushing the hook straight into the reed. Repeat until finished. You don’t need to look down to see if the hook is in the next dent. The click! 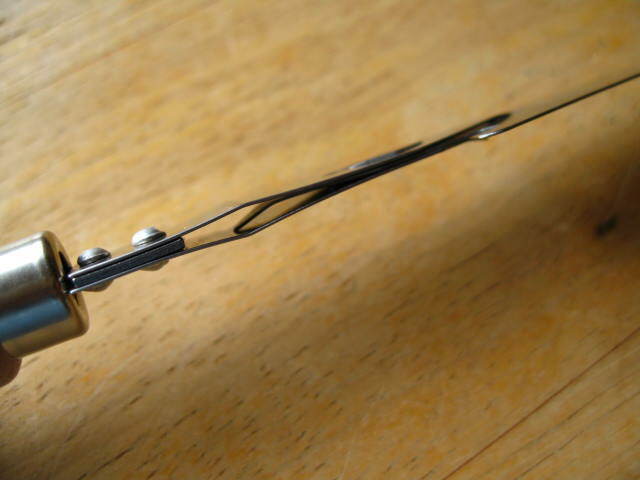 sound is the confirmation that the hook has advanced (only one dent). I put a small empty box between the reed and front beam, then secured the reed and beater assembly to the front beam with rubber bands. The purpose of the box was to give some room for my hands to handle the auto-reed hook and threads, plus give just enough tension and resist to operate the hook without having to hold onto the reed. I don’t have a picture of that here, but I’ll have one in a future post. 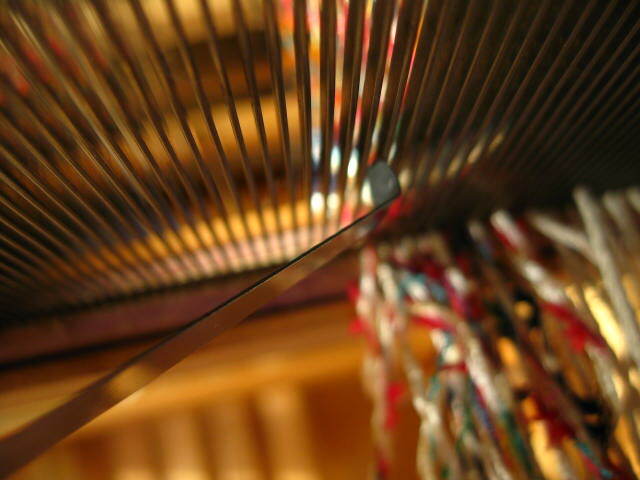 The auto-reed hook makes sleying the reed easy, zippity fast, and, most importantly — fun! 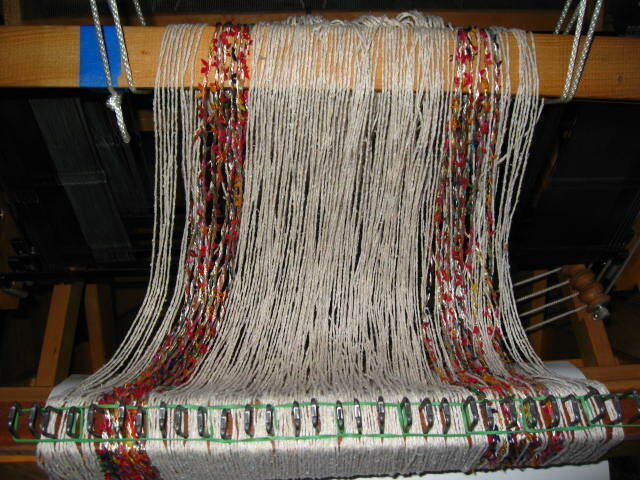 How I wish there was a way to auto-finish my weaving! There’s little pile of projects growing into a mountain on my sewing table that need to be sewn, washed, knotted, whatnot. I’m sure one morning I’ll wake and it will be “The Day” to finish them off. Until then, I feel driven to get some handle on the learning curve, the dearth of time, and the need to define a direction with this obsession.